George Barrette – Although I am not officially a “townie” I moved to Westborough in the fifth grade and graduated from Westborough High School in 1976. I have a degree in Business from Northeastern, and spend my professional life as a group representative working in the employee benefits field. My wife Diane and I have three children, our youngest a senior at Westborough High. As Kris Allen says, I have the “public service gene” and thoroughly enjoy serving the town of Westborough. I consider myself indeed fortunate to have grown up in, and be able to come back and live in, the community that has given me so much. Denzil (Denny) Drewry – I grew up in Maine and served in the Army, before graduating from the University of Massachusetts, Amherst. 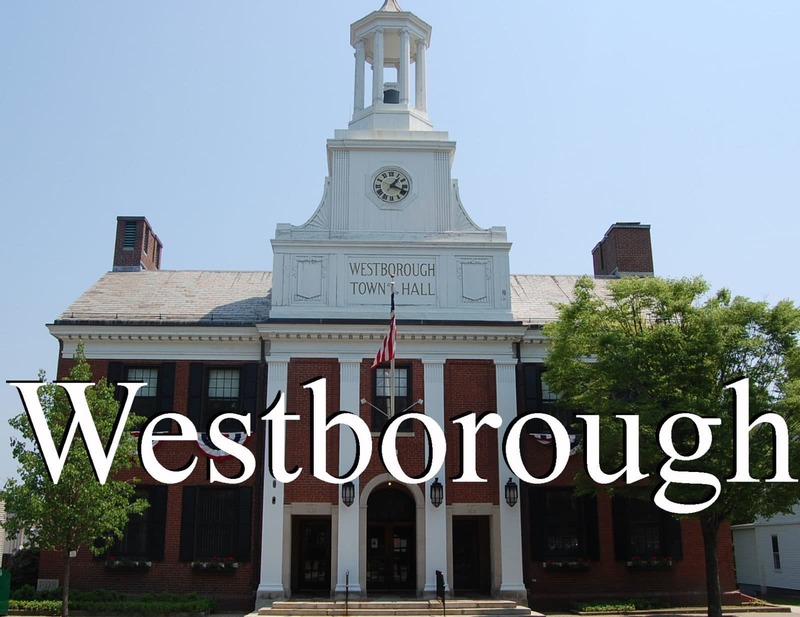 My wife Rainie and I moved to Westborough in 1977 and raised two children here, Scott and Jamie. I have served on many town boards including selectmen, and have also coached youth sports in town. 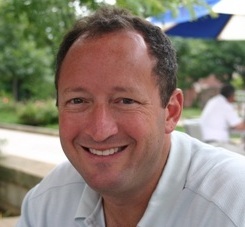 Andrew Reinach – I was raised in Miami and, after receiving my undergraduate and graduate degrees at Cornell University, I lived in PA, OH, WI, DC, and CT before settling in Massachusetts for the past 13 years. My wife, Beth, and I have two children (AJ, 10 years, and Madeline, 8 years) and I enjoy flying, baseball, and spending time with my family and friends. Barrette – I have had the opportunity, through volunteering, appointments and elections, to serve in many capacities in Westborough government. I started working on the 275th anniversary committee in 1992, all the way to selectman. I have experience at every level, and have learned immensely from a lot of amazing people. The personal experience that prepares me for this position is having listened to all sides, done the preparation necessary and tried to make good decisions based on all these factors. 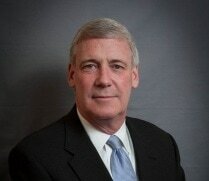 Drewry – I worked in the Employee Benefits area where I became vice president of sales for a major national company. I managed 16 offices coast to coast and was responsible for a multimillion dollar budget and $650 million of revenue. 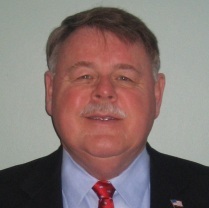 I have served as a selectman and on many town committees. Currently, I am a regional representative for U. S. Senator Scott Brown. I served in the Army for 12 years. My training included Infantry Officer School, Airborne Training, and Special Forces (Green Beret) Officers Course. In Vietnam I was the Executive Officer of an A-Team. My final rank was a Major. Reinach – My experiences as an active member of the Westborough community, as well as my background in project management have prepared me to serve as a selectman. Since moving to Westborough 12 years ago, I have been active in youth sports and participated in many town events. Professionally, I have worked for several years as an executive director for development and construction. In this capacity, I am responsible for budgets in excess of $100 million dollars, and I work with a team of professionals to design and implement these projects. What level of involvement do you think residents should play in local politics? Barrette – Residents should be engaged and involved at every level of local politics. From the hiring of competent, capable professionals to run the day to day operations, to learning about the issues and making their voices heard by volunteering for committees, attending meetings, hearings and ultimately Town Meeting. Drewry – It is very important that residents become involved in our community. No one individual or group has all the answers. While willing to run for an elected position is important, serving on town committees, and community organizations needs to be part of the process. Westborough has a great tradition of volunteerism which has played an important role in the excellent services we enjoy. We need to pass this tradition on to future generations. Reinach – Residents should play an active role in local governance. However, as a local official, I would work to make sure that residents have an open and accessible government that promotes and encourages feedback from residents. I would build on the town&apos;s efforts to reach out to residents through technology and the recently modified website and new Twitter and Facebook pages. I would encourage the board to hold regular office hours, and to brainstorm ways that residents could access government more readily. Residents have a duty to participate in governance, but local officials also have a duty to encourage and promote such participation. In many towns, the school budget is 50 percent or more of the overall budget. What ideas do you have that will help ensure equity, so that the needs of the schools, as well as the town, will be met? Barrette – Westborough has a charter and bylaws which provide for the appointed Advisory Finance Committee to carefully (sometimes painfully) review every budget line item, including the school budget. We also have an elected School Committee that spends months on their budget. Together with input from the Board of Selectmen, we determine what to present to the voters at town meeting. This process ensures equity and that the needs of the town and the schools are met. As a selectman, you only get one vote at Town Meeting, no more than any other resident in the hall. Drewry – The Board of Selectmen has and should continue to review all town budgets and make recommendations at the Town Meeting. I will support our departments to ensure that they are on a level playing field. Promoting economic development is needed to offset increasing property taxes, especially for our seniors. We need to promote increasing our percentage of state aid which will provide additional funds. Not asking for more state taxes but give us our fair share. Currently we receive 5.8 percent while all surrounding towns receive a higher percentage with the highest being 20.4 percent. Reinach – A quality public school system benefits all residents of a community by improving property values, drawing businesses, and improving our overall quality of life. Many residents sought out Westborough because of the high quality and reputation of our school system. This has not come without a cost; however, and as a selectman, I would work hard with my colleagues on the School Committee to create a balanced approach to budgeting. I would support enacting a “tri-board” to bring the Selectmen and the School Committee, along with the Finance Committee, together to plan for our town&apos;s fiscal future. What U.S. political figure, local or national, past or present, do you admire the most and why? Barrette – I admire Ronald Reagan and Tip O’Neil, and their relationship. Although they were adversaries throughout Reagan&apos;s presidency, and came from completely different backgrounds, above it all, they were gentlemen who liked each other and could respect their differences at the end of the day. We need more of that mutual respect at all levels of government service. Drewry – Many good choices, but I always go back to one question, “Would there be a United States of America?” without President Washington. During the Revolutionary War, he was commander of the Continental Army from 1775-1783. He only returned home on a few occasions. Although he lost many of his battles, he never surrendered his army during the war, and he continued to fight the British relentlessly until the war&apos;s end. He presided over the writing of the Constitution in 1787. He remains the only president to have received 100 percent of the electoral votes. He refused to run for a third term. Washington was not a member of any political party and hoped that they would not be formed, fearing conflict that would undermine the republic. Reinach – As the first president, George Washington effectively set the tone and the example for all public officials to follow into the future. He risked his life to defy a nation, saw himself as a public servant above partisan bickering, and gathered the facts before making sound decisions. He exemplified the true ideal of a citizen-leader, choosing to return to life at Mt. Vernon while many pushed him to run for a third term. Although much has changed in the U.S. in the many years since his presidency, George Washington will always serve as a model for how we today can serve the public. Next articleThe spring market comes early to some towns….